Kallberg, Jan, and Thomas S. Cook. 2017. The unfitness of traditional military thinking in cyber. IEEE Access. Kallberg, Jan. 2016. Humanitarian cyber operations – Rapid response to crimes against humanity utilizing offensive cyber ability. IEEE Technology & Society (forthcoming). Kallberg, Jan, and Erik Lakomaa. 2016. Institutional maximization and path dependency: The delay of implementation of the European Union Public Sector Information Directive in Sweden. JeDEM – eJournal of eDemocracy and Open Government 8:1. Kallberg, Jan, and Rosemary Burk. 2016. Bring on the cyber attacks – The increased predatory power of the reluctant Red Queen in a nation-state cyber conflict. Cyber Defense Review 1:2. Kallberg, Jan. 2016. Strategic Cyberwar Theory – A foundation for designing decisive strategic cyber operations. Cyber Defense Review 1:1. Kallberg, Jan. 2016. Assessing India’s Cyber Resilience – Institutional Stability Matters. Strategic Analysis. (January-February) 40:1. Kallberg, Jan. 2015. Bringing fear to the perpetrators – Humanitarian cyber operations as evidence gathering and deterrence. Strategic Analysis (July). Kallberg, Jan. 2015. A right to cyber counter strikes – The risks of legalizing hacking back. IEEE IT-Professional (February). Kallberg, Jan, and Steven Rowlen*. 2014. African nations as proxies in nation states’ covert cyber operations. African Security Review. *Graduate student. Kallberg, Jan, and Bhavani Thuraisingham. 2014. 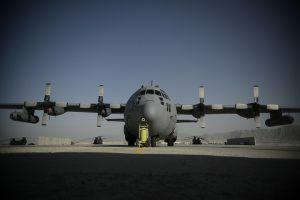 The continued War on Terrorism – How to maintain long-range terrorist deterrence. Journal of Policing, Intelligence and Counter Terrorism. (Spring). Kallberg, Jan, and Rosemary Burk. 2014. Failed cyberdefense: The environmental consequences of hostile acts. Military Review (May-June). Kallberg, Jan, and Bhavani Thuraisingham. 2013. State Actors’ Offensive Cyber operations – The disruptive power of resourceful systematic cyber attacks. IEEE IT-Professional. (May). Kallberg, Jan, and Bhavani Thuraisingham. 2013. Cyber Operations – Bridging from Concept to Cyber Superiority. Joint Forces Quarterly 68. January 2013. Kallberg, Jan, and Adam Lowther. 2013. Europe in a ‘NATO light’ world – Building affordable and credible defense for the EU. Atlantisch Perspectief – Opinieblad over Veiligheidszaken en Internationale Betrekkingen. No. 1, 2013. Kallberg, Jan. 2013. Diseñando Colisiones de Satélites en la Guerra Cibernética Encubierta. Air and Space Power Journal (Spanish edition – January 2013). Kallberg, Jan. 2012. Designer satellite collisions from covert cyber war. Strategic Studies Quarterly. Spring. Lowther, Adam, and Jan Kallberg. 2012. Analysis – Toward a new American military. Atlantisch Perspectief – Opinieblad over Veiligheidszaken en Internationale Betrekkingen 36, no. 6 (2012): 10. Kallberg, Jan. 2012. Common Criteria meets realpolitik – Trust, alliances, and potential betrayal. IEEE Security and Privacy. February (online), July (print). Kallberg, Jan, and Bhavani Thuraisingham. Towards cyber operations – The new role of academic cyber security research and education. IEEE Intelligence and Security Informatics ISI 2012, Washington D.C., 11-14 June 2012 – Proceedings and papers published by IEEE Press. Kallberg, Jan. 2012.USA:s försvarsdoktrin efter kriget mot terrorismen. (Translation: U.S. defense doctrine after the War on Terrorism). Vårt Försvar (Translation: Our Defense). Vol.123:2. Kallberg, Jan, and Rosemary Burk. 2012. Online accountability and transparency in sustainable green business. Sustainability – The Journal of Record. April. Burk, Rosemary, and Jan Kallberg. 2012. Right of capture and urban sprawl – A potential federal financial risk in groundwater-dependent areas. International Journal of Water Resource Development. May (online), December (print). Kallberg, Jan. 2012. Balancing the budget – submarines in the era of austerity. Submarine Review. January 2012. Lowther, Adam, and Jan Kallberg. 2013. Nuclear deterrence in a second Obama term. World Defence Systems. King’s College UK. Kallberg, Jan, and Adam Lowther. 2012. The return of Dr. Strangelove: How fiscal austerity will push the United States towards nuclear arms and cyber-warfare. The Diplomat, August 20. Kallberg, Jan, and Rosemary Burk. 2013. 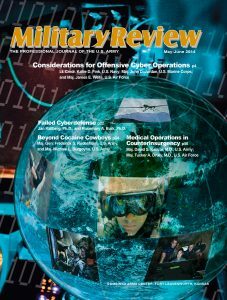 Cyber defense as environmental protection – The broader potential impact of failed defensive counter cyber operations. Conflict and Cooperation in Cyberspace – The Challenge to National Security in Cyberspace (ed). Taylor & Francis. Kallberg, Jan, and Bhavani Thuraisingham. 2013. From cyber terrorism to state actors’ covert cyber operations. Strategic Intelligence Management (ed). Elsevier.